Two flights of locks. One of them staircase locks at Watford.The other Braunston Locks. One that I’ve done a few times now. Braunston Locks are very tiring. And I was kind of happy when I found that due to water shortages, the Watford flight closed at night when the volunteers went home. Being staircase locks, only one boat can go through at a time. And the CRT like you to book ahead, (which I didn’t). During the day, the CRT prefer to keep it manned. Previously, at night, they let the public traverse the locks as they wished. Due to water shortages, this practice stopped, and passing through the flight is only possible with the aid of the lock-keeper. People do moor in-between, but there’s no road access, so it’s useless to me. At the moment, I’m at Braunston, ancient Bargee village. All things barge are here, chandlers x 3. Marina x 1. Canalside pubs x2. And some other shops and services connected to the trade. I was moored here for the winter on the Rugby arm. This time I’m on Oxford arm. There’s no piling and I’m moored up on pins but it’s a much better mooring for a number of reasons. The towpath isn’t overgrow. On the Rugby arm, the trees hang down and you have to crouch to pass them. This is for about 20-25 yards. The trees don’t overhang. They stand up straight, not grow up over my solar and cast shade over the boat. Parking is better. Not on the A45 which you have to cross daily. Quicker into town. 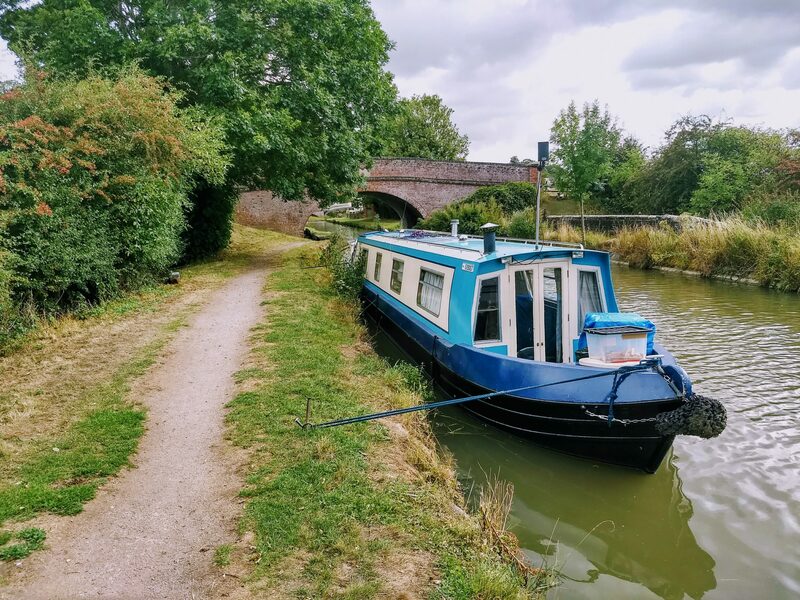 Not by much, but a shorter walk into Braunston. 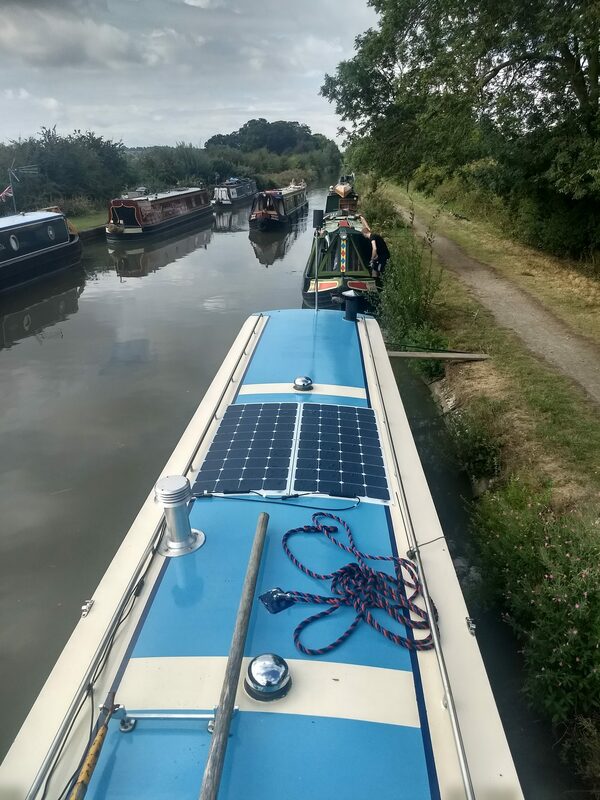 Got a better all over ambiance certainly compared to mooring on the Rugby arm, but also in toward the village. It’s nicer here because you’re out in the country.